If you want to (re)define your style, but don’t know how or where to begin. There's so much style content online now; it's easy to feel confused, uninspired, and like your style isn't good enough. 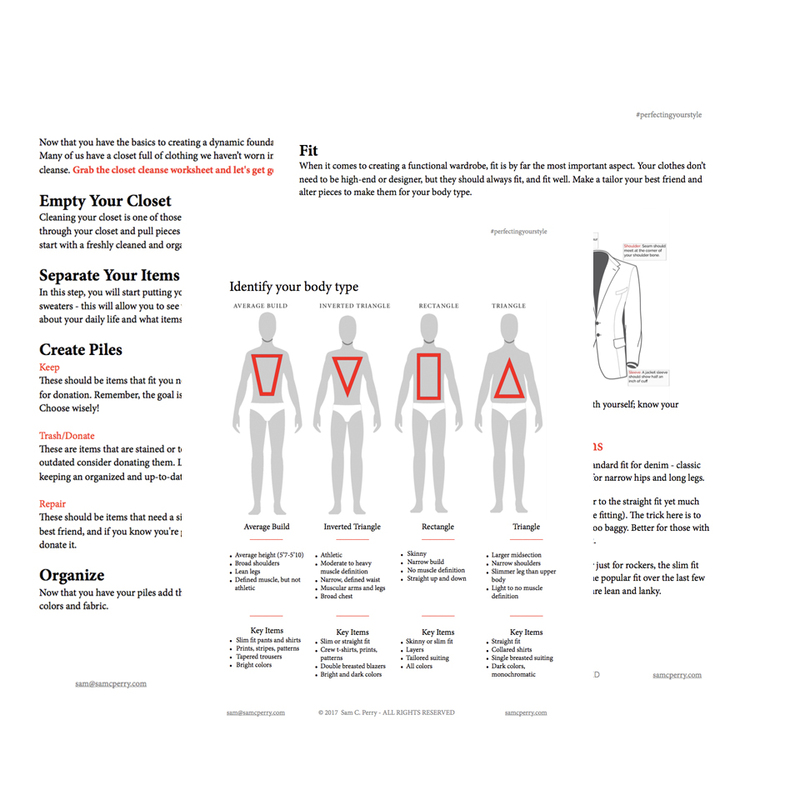 You've lost weight or working to achieve a new career and looking for a wardrobe that fits your new lifestyle. Whatever it may be, style will not only help you feel and look good, it can help elevate you to the next level. That's why I created the #perfectingyourstyle challenge; to help you feel and look your best in 30 days. 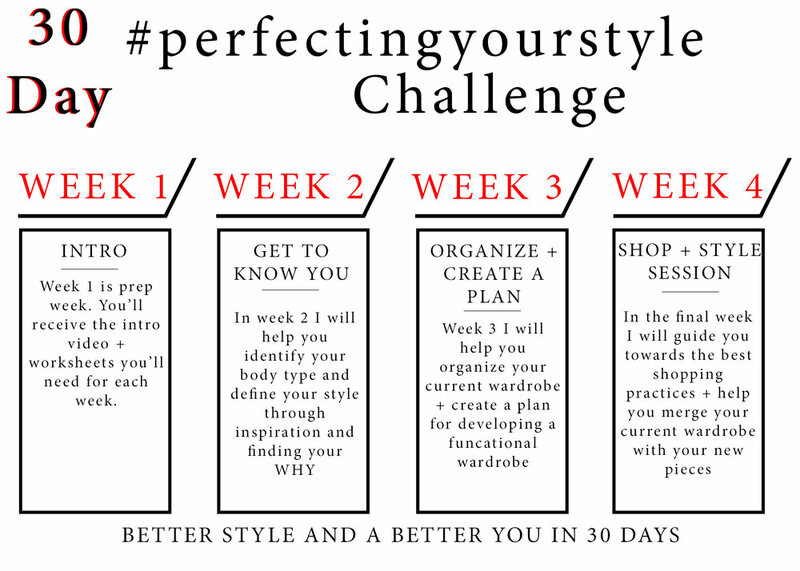 SIGN UP HERE TO BE APART OF THE 30 DAY #PERFECTINGYOURSTYLE CHALLENGE! Thank you! Be sure to check your email to confirm you've been added!